Mayur is a Co-founder and Managing Partner of C Shantilal Advisory Group Inc. and specializes in strategic advice for smart city planning and solutions. C-Sagi also provides client business development and advisory services. Born and raised in Kutch (Gujarat-India) and Engineer by training with a Diploma in Mechanical Engineering as well as a Post-Diploma in Business Administration, Mayur worked in the banking industry as a private banking representative to an account manager, prior to starting his own niche advisory business. Mayur’s professional career started with Australia and New Zealand Banking Group (ANZ) in Sydney, Australia. He has worked with ANZ Private Bank, HDFC Bank Ltd (India) and as an account manager – small business with TD Business Banking. Mayur was the winner of Business Banker Award of the Year – 2009, TD Business Banking. Mayur is also a proud supporter of Milton District Hospital Foundation, a founding member of Milton Gujarati Parivaar and supports local school fundraising events as well as various charitable organizations in GTA to raise funds for United Way, JDRF and TD friends of the environment. He is a member of C-IBC, ICCC and Milton Conservative Association and was Principal Partner – Canada India Institute. 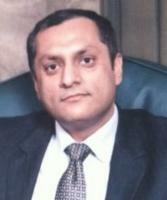 He is an avid reader and International Affairs & Public Policy Analyst. Mayur lives in Milton (Ontario) with wife Nitu Dave and two sons Aayush and Aarav.